Each player goes to an opposing battle station with buckets of water balloons. 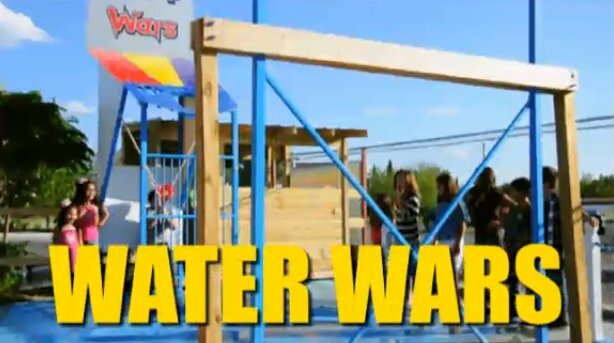 Each battle station has a water balloon launcher. A player places a balloon in the launcher, pulls down on the handle, aims, and fires! The balloon then flies through the sky and comes bursting down on the other player's battle station. Atop each battle station are strategically located holes and slots which allow water to reach each player. ...just make sure you have enough water balloons left to retaliate!